Back to back New Glarus brews, now that is a real treat. Tonight’s offering, a rare and interesting drink, one that stretches to even be called a beer. And yet, it is, and so I embark on another flavor filled journey. Reading the label, I wasn’t convinced this was a beer and the initial visual picture did little to acquiesce my doubts. It was red. Deep, dark red. Perhaps hints of brown laced the edges, but it was most definitely the color of juice, not of beer. Another feature leading me astray was the head. It popped up like one would on the top of a soda, but dwindled quickly to nothing leaving a clear-as-glass picture of my beverage from top down. The scent was major berry. 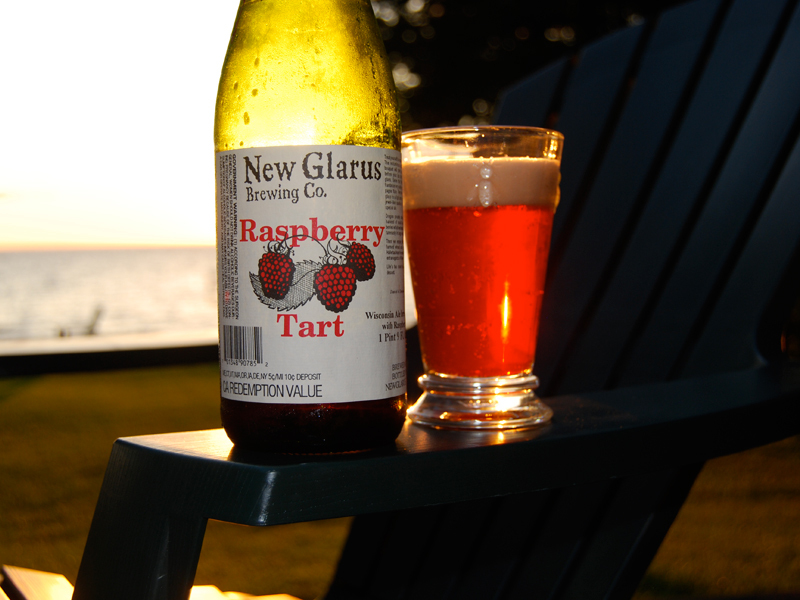 Raspberry, I suppose, but mainly just overly sweet and fruity. Here was my first signal of an alcoholic drink. The raspberry was syrupy in scent, mixed with the alcohol it reminded me of a liqueur or a cocktail my wife would order. The taste was exploding with raspberry. It was straight forward from first sip to swallow, ending in the only variation on the theme, which was a lasting sour twinge. It was refreshing and enjoyable, but besides the fact that a brewery produced it and called it a ‘beer,’ I am still at a loss at how it qualifies as such. No matter, a very drinkable, enjoyable glass of brew. Note: my wife and I were told of a great ‘recipe’ for this beer. Raspberry Tart over ice cream made for a delicious beer float! on the earth, after cataracts.